Beef Ribs on Plate. Regarding BBQ Inc. This is a fantastic way to prepare BBQ Beef Ribs. The sauce is slightly spicy, yet tangy and sweet at the same time. Enjoy with your favorite grilled vegetables and a delicious creamy potato salad. Combine all sauce ingredients in a saucepan. Let mixture come to a boil and then reduce and allow to simmer for 10 minutes. Make sure marmalade is incorporated well into the sauce. Preheat grill. In a small bowl combine all rub ingredients. Trim off excess fat from beef ribs, cut into individual ribs, and apply rub all over. 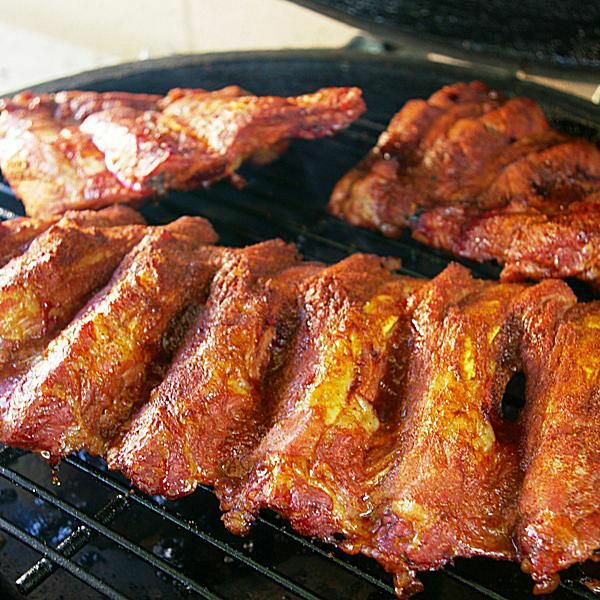 Place ribs on the grill and allow to cook over medium-low heat for 1 1/2 to 2 hours. Use half of the chipotle sauce to baste ribs with every 15 minutes during cooking. Save the rest to serve with ribs.